Paul Fish focuses his practice in commercial litigation, corporate law, bankruptcy law, loan workouts, and foreclosure. For more than thirty years, clients have sought Paul’s advice when dealing with complex financial issues. 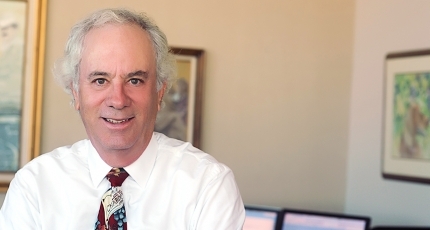 A Fellow of the American College of Bankruptcy and recognized by Best Lawyers of America® since 1983, Paul was selected as “Lawyer of the Year – Bankruptcy” in Albuquerque by Best Lawyers in 2011 and 2012. He has achieved an AV® rating from Martindale-Hubbell and is among those listed by Southwest Super Lawyers.® Paul was named “Best of the Bar in Bankruptcy” in 2010 by the New Mexico Business Weekly. Paul is a member of the Creditors’ Rights Group for the Litigation Practice Group and is Chair of the firm’s Resource Committee. He recently served on the firm’s Executive Committee.